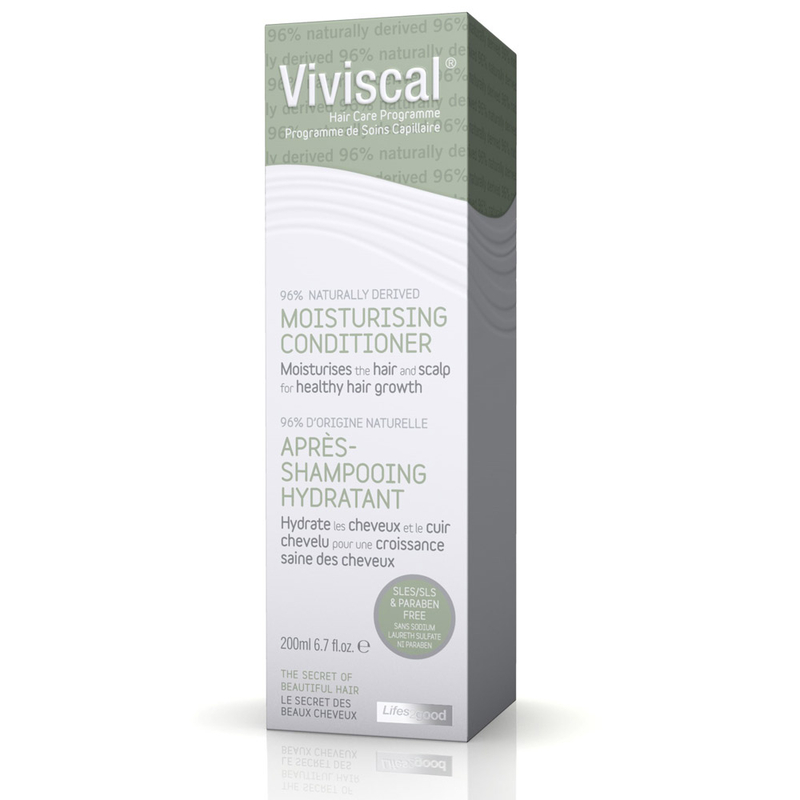 Viviscal Moisturising Conditioner which is 96% naturally derived moisturises the hair and scalp for healthy hair growth. Viviscal Moisturising Conditioner has been scientifically formulated to moisturise and condition your hair and scalp to help create the ideal environment for healthy hair growth. Argan and Hazelnut Oils soften, nourish and condition the scalp and hair. Creatine helps to improve the smoothness, volume and the ‘feel’ of hair. This Moisturing Conditioner is ultra light, colour-safe and is suitable for everyday use and all hair types including dry, damaged, colour treated, fine and thin hair.